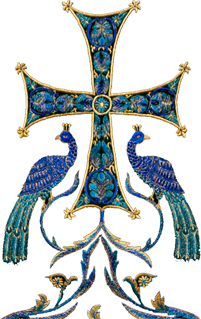 With the blessing of the Synod of Bishops of the Russian Orthodox Church Outside of Russia, Bishop Nicholas of Manhattan will lead a pilgrimage of clergy and laity to the Holy Land on August 1-14, 2017. 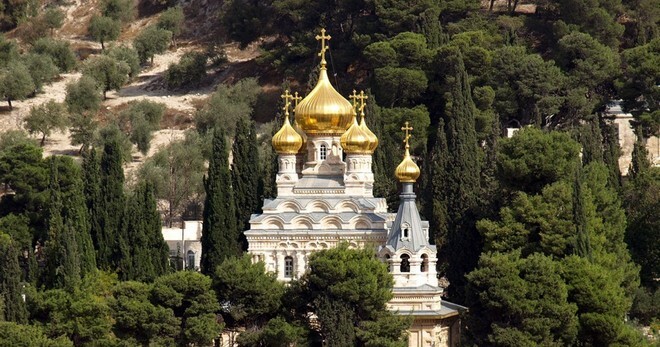 The pilgrimage will begin with the patronal feast of the Russian Convent in honor of St. Mary Magdalene in Gethsemane, and will be dedicated to the 50th anniversary of the episcopal consecration of the ever-memorable Metropolitan Laurus. 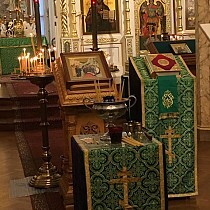 In addition to visits to holy and historical sites in Jerusalem, Palestine, Galilee, the monasteries of the Russian Ecclesiastical Mission, and many others, the pilgrimage schedule will include participation in divine services at the Holy Sepulcher of our Lord, the site of His Nativity, and other holy sites. The cost is $2,700, which includes airfare from and to NYC, room, board, transportation, gratuities, donations to monasteries and other expenses. Travel insurance is not included in the price, but is obligatory. In order to ensure your participation in this pilgrimage, you must register before April 1, 2017. For further information and a registration form, contact Archpriest Serafim Gan at: revsgan@hotmail.com. Those who wish to relay donations or commemorations slips to the holy sites are encouraged to contact Fr. Serafim.